Picking the best RAM may not be the most exciting part of building a PC, but getting the right type, amount and speed can make a big difference to your PC’s performance, particularly when it comes to gaming. 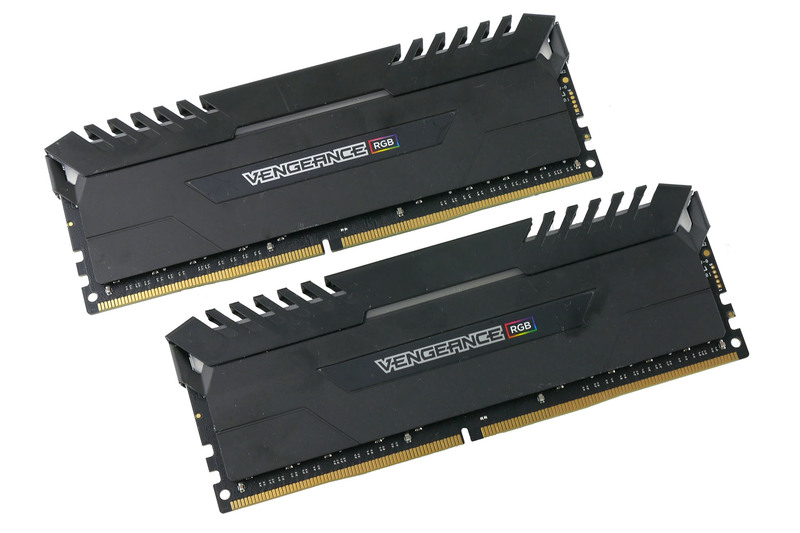 To help you buy the best gaming RAM for your PC, have a read of our comprehensive guide below. We’ll tell you what to look for when buying new RAM, as well as exactly which models are best value for money across a wide range of budgets. RAM (or random access memory to give it its full name) is the middle ground between your PC’s CPU and long-term storage like an SSD or hard disk drive. It doesn’t give you extra storage space to keep games and photos and the like, but it does let your CPU access that data much, much faster than even the best gaming SSD money can buy. To do this, it copies said data from your SSD / HDD into memory – that’s what’s happening when your PC boots up or you load a game. Clearly then, having enough, and fast enough, RAM is important, but just how much is enough? Generally, 8GB is the absolute base line I’d recommend getting for a low-end gaming PC, but higher-end PCs should ideally have 16GB (two 8GB sticks are cheaper than a single stick of 16GB) if your budget can stretch to it. All kits listed below are 16GB RAM sets, but we’d still recommend buying the same RAM if you wanted to get either a single 8GB stick or two 4GB sticks. As for what kind of speed you should get, as well as everything you need to know about latency, different types of RAM and what you might need to look out for depending on whether your system is based on Intel components or AMD, head over to our buying guide on the next page. 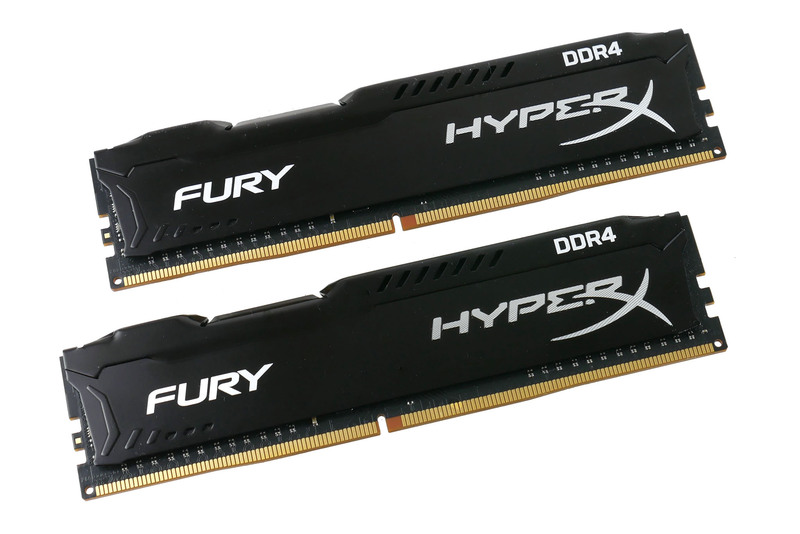 For those who want to get straight to our best DDR4 RAM picks, read on below. If you’re on a relatively tight budget but still want to get the best performance for your money, then the Kingston HyperX Fury 2666MHz kit is the one to go for. It’s priced the same as Crucial’s Ballistix kit (see our ‘And the rest’ section below) but its slightly tighter latency timings mean it has better overall bandwidth. This results in a handful of performance victories over the Ballistix kit, though on balance it is a very close fight. In fact, the Crucial kit tended to do better on the AMD system, while the Kingston was consistently better on the Intel system, so depending on which sort of system you’re building this may determine your choice. Meanwhile, if you do need to get more from this kit, it will readily overclock to 3000MHz, providing a nice bump in performance. The sticks themselves are nothing to write home about in terms of design, but a plain black look is always a safe bet. 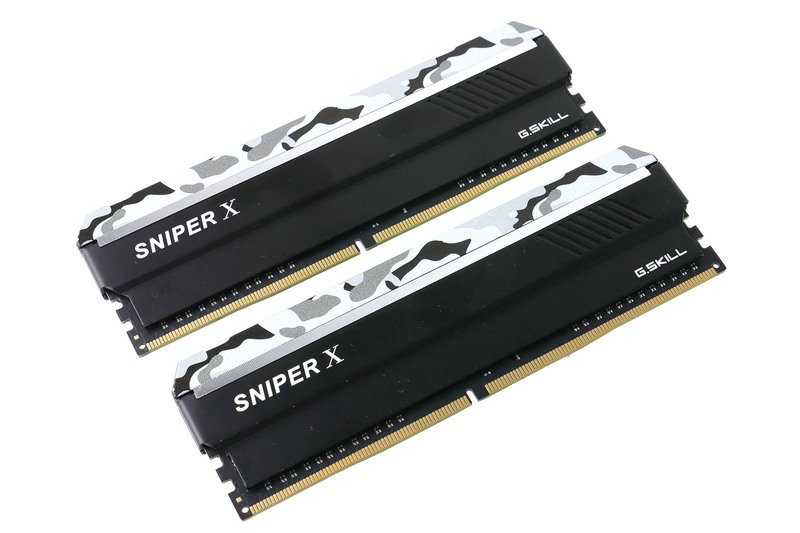 With a default speed rating of 3400MHz, this Sniper X kit (F4-3400C16D) from G.Skill is the fastest I’ve tested and it has the performance to back up its high-speed claims. As you can see from our performance graphs below, it claimed the highest FPS in Rise of the Tomb Raider, hitting an average of 184fps on my Intel system. It didn’t quite top the charts in this test on the AMD system, but was certainly among the faster options. However, I couldn’t actually get this RAM to run at its claimed 3400MHz speed on my Intel system, with it instead maxing out at 3300MHz. Thankfully, there were no such issues on my AMD test bench, and in fact it readily overclocked to 3600MHz, with a modest gain in performance too. In the CPU tests, we can see just what a small difference fast RAM makes in CPU-heavy workloads, but the G.Skill kit did again top our charts. Likewise, its SiSoft Sandra memory bandwidth is well out in front. As to the memory sticks themselves, they aren’t the most stylish I’ve ever seen with their camo paint tops, but the modules aren’t too large and don’t require too much extra voltage. It isn’t a cheap option, but if you’re after the best, the G.Skill Sniper X 3400MHz certainly outclasses a lot of the competition. RGB lighting may not be for everyone, but if you are going to join in the fun, Corsair’s Vengeance RGB (CMR16GX4M2C3000C15) is the best I’ve seen. The otherwise black or white modules look good on or off, and crucially they provide their RGB lighting without the need for any extra wires. Instead, the lighting can be controlled through Corsair’s Link software, which allows you to set the light to any static colour or make it shine in a number of patterns. Moreover, you don’t have to pick this relatively high-end 3000MHz kit to still enjoy some RGB goodness. They’re available in speeds of 2666MHz up to 4266MHz, though 2x8GB kits are the smallest you can buy. The relatively nippy clock speed and low C15 latency of this kit means they top the charts in the AMD Cinebench test and comfortably come in second in the Sisoft Sandra test. Gaming performance is also consistently good and in Handbrake it tied for the lead when averaged across both tests. I even managed to get the kit to run at 3200MHz, with a noticeable little jump in performance across all my tests. All told, as well as being a great RGB option, this is generally a really nicely balanced kit in terms of performance, features and price. Crucial’s slower 2400MHz kit offers surprisingly decent performance in most of our tests, only falling behind a fraction in both the gaming and Handbrake tests. It also overclocks quite well, hitting 3000MHz without a problem. Unfortunately, with it priced at the same level as faster kits such as HyperX’s Fury listed above, it simply doesn’t make sense to go for this kit. Undercutting itself, Crucial charges less for this faster 2666MHz kit than its slower 2400MHz kit – at least in the US. This makes the 2666MHz kit a much better buy, but it’s just pipped by the HyperX Fury, which currently costs less in the UK and is exactly the same in the US. It’s so close that either would be worth getting, but I prefer the plain black finish of the HyperX kit. Kingston’s more premium Predator kit offers lower latencies and better overall bandwidth than the cheaper 2666MHz Fury kit, but the real-world impact of this is modest. That said, the difference is there and the snazzy design of the sticks themselves makes these a tempting option if you’ve got a bit more money to spend. All the kits were tested on two separate systems. One with an Intel Core i7-8700K CPU and Z370 motherboard, and the other using an AMD Ryzen 7 1700X CPU and X370 motherboard. Both systems used the same Nvidia GeForce GTX 1080 Ti graphics card and Crucial MX500 SSD. I tested performance both at the default speed of the RAM and with the RAM overclocked. On both systems, I found that around 3000MHz was the maximum for any RAM that wasn’t already specified to be higher, while faster RAM on the Intel system didn’t readily overclock any further. In fact, the 3400MHz G.Skill wouldn’t even reach its default speeds, maxing out at 3300MHz. I had more success on the AMD system, with both the Corsair and G.Skill kits overclocking beyond their ratings of 3000MHz and 3400MHz. To test performance, I first ran SiSoft Sandra, which is a synthetic benchmark that tests for overall memory bandwidth. I only ran this test on the Intel system as its synthetic nature means it’s of little meaningful use to test it on both systems. Then I tested CPU performance using the Cinebench R15 benchmark and in real-world usage by encoding a video using Handbrake. These figures give us a clear picture of how much RAM speed does, or doesn’t, affect CPU-heavy tasks. Finally, I did some game testing. I used the in-built benchmark in Rise of the Tomb Raider and tested to see if RAM speed makes a difference to the FPS you get. The test was performed at 1080p with High detail settings. This is relatively low for such a powerful PC, but I did this to ensure the CPU/memory was more likely to be the performance bottleneck than the graphics card. Tagged with Corsair, Crucial, feature, G.Skill, Hardware, HyperX, memory, RAM.